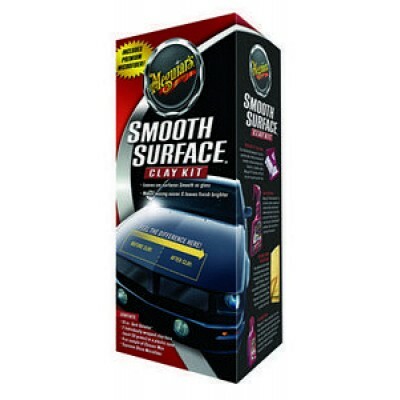 Make your wax protection last longer by removing above surface contaminants while restoring a smooth-as-glass finish with Meguiar’s® Smooth Surface™ Clay Kit. Our non-abrasive clay bar safely, easily and instantly removes paint overspray, fallout, environmental contaminants and more, making wax easier and long lasting. this was hard work in the beginning but the end result: a smooth as glass finish on the surface..as what the videos and users says, I used it on the paint, headlights and even the windows...I use this after the car wash and before polish / wax. Keep it up Meg's!